The Isle of Man Ship Registry has just completed a pilot project with the Korean Register (KR) as a first step towards full recognition of the Korean classification society. The move could mean more Korean owned and classed vessels coming onto the Isle of Man flag in future. The recent delivery of the containership ‘Hanjin Blue Ocean’ completed the series of nine 13,000 TEU vessels to register in the Isle of Man. With gross registered tonnage at 141,000 for each ship, the entire series adds a healthy 1.26 million GRT to the Isle of Man’s growing register. The addition of the Hanjin vessels means that at the half way mark of 2013, the total number of vessels registered on the Isle of Man flag stood at 433. 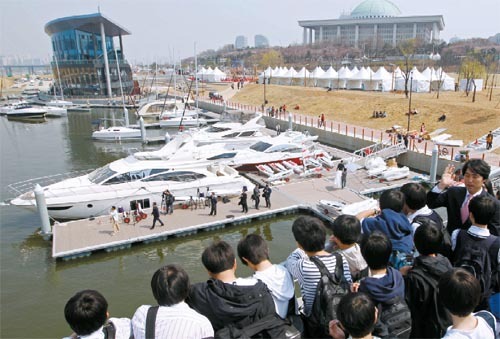 This figure excludes 102 commercial yachts, making 535 commercial vessels in total amounting to 15.28 million gross tons. And today the Isle of Man flag revealed that due to the rapid expansion of the global merchant shipping fleet in Asia Pacific in recent years, 35.3% of the flag’s total tonnage now comes from that region. The delivery of the Hanjin Blue Ocean was the culmination of a project which enabled the Isle of Man flag and the Korean Registry to work closely together for the first time. Nine containerships operated by Hanjin and classed by KR are now flagged by the Isle of Man registry. 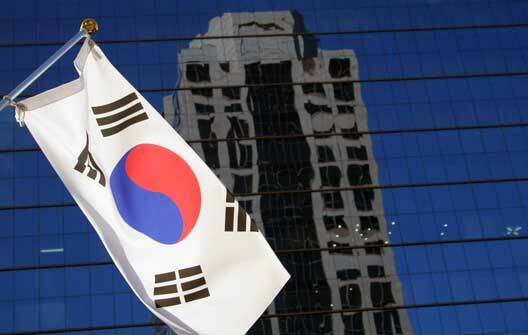 Until this co-operation, the flag did not have any formal agreement with KR to act as a Recognised Organisation for statutory surveys, but it now intends to work closer with the Korean market to offer flagging facilities supported by KR for statutory matters. All nine boxships were classed with KR which oversaw the construction and delivery on behalf of the Isle of Man flag. Each of the nine ships is owned by Isle of Man entities, all administered from the island. The emergence of global shipping hubs in Asia and the rise of the economies in the region have meant the Isle of Man flag has benefitted from increasing numbers of Asia based owners choosing the flag. And according to Mr Welch, the increasing support for the Isle of Man flag among Asian operators is also due to the efforts the flag has made in raising its profile in key Asian maritime nations such as South Korea and Singapore. These initiatives include regular visits to the region by senior flag officials, setting up a representative office in Singapore and building a comprehensive network of surveyors in major shipping centres in the region.